Hot Search Products: Canon PFI1700 cartridge.. JV400 compatible cartri.. T34 T3461 T3462 T3463 T.. FA24000 Decoder for Eps..
Shenzhen Qunxin Electronics Co. Ltd specializes in development and production of printer supplies based on cost reduction and environmental protection. We have worked out three series, including continuous ink supply systems (CISS), refillable cartridges and laser printer accessories. Our products have been delivered to Europe, the Americas, Africa and Oceania, bringing us annual export sales of $2 million last year. We always emphasize cost reduction and environmental protection and have developed a variety of printer supplies for your selection, which are compatible with Epson, Canon, HP and Brother printers. 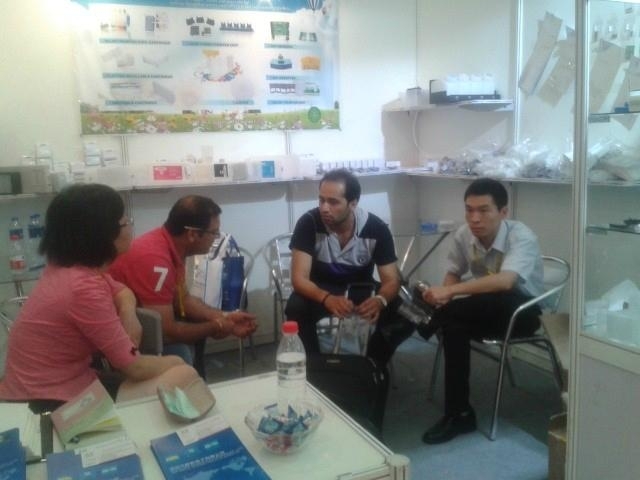 Our three R&D staff with an average of 10 years' experience can also customize a new item for you within one to two months. We possess an 800-square-meter factory equipped with five production lines. 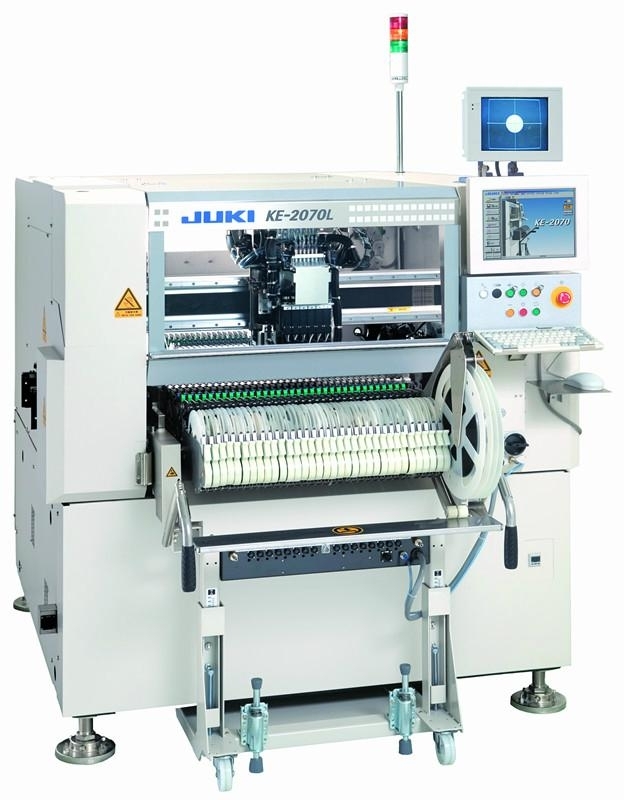 Our advanced equipment includes automatic chip SMT lines, dust-free vacuum refilling machines and dust-free vacuum packaging machines. We produce 1,000 units every month. Our delivery lead time is just three days. All the right of trademarks are the property of the holders. Learn more about our cost-saving and environment-friendly printer supplies. Contact us today. 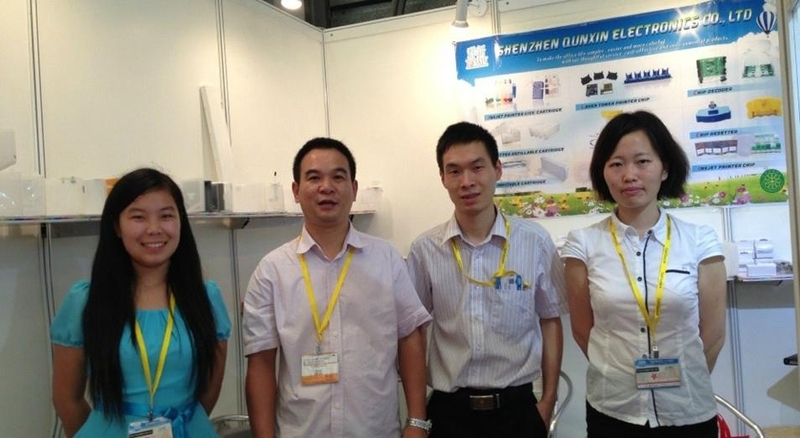 Congratulation on Shenzhen Qunxin Electronics CO.,LTD's success in " The 21th Shanghai Int'l Ad&Sign Technology&Equipment Exhibition "on July 10th to 13rd, 2013,thanks for every business friend's supports. 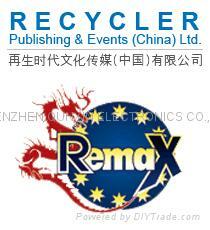 We are very honorable of attending this fair.As we all-known,Exhibtion is one of the most famous event brands in the global aftermarket printer consumables industry and ZhuHai Remax Exhibition shows are one of the most important and authoritative events in the industyr.Experience shows that you can grow your business with Shanghai Exhibition events. Hope we can meet again in our business!